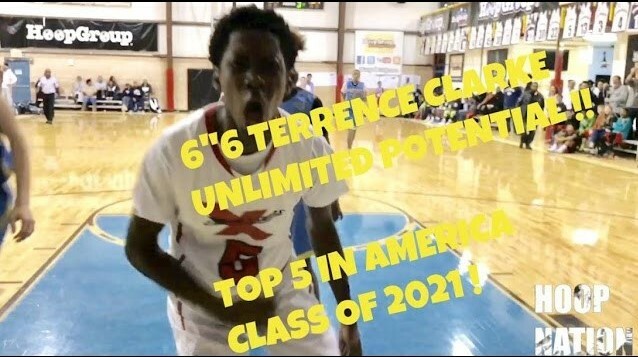 My name is Terrence "Total Package" Clarke. I am blessed and honored to have a chance to give you guys an inside of my life on a weekly basis as an all around person, student, and basketball player! I would like to thank Expressions Elite for putting me to the test to play against the best of the best and BballSpotlight for recognizing the hard work I put in day in and day out in the gym. Boston born and raised. I am an eighth grader that attends The Rectory School, a junior boarding school in Connecticut. I play for Expressions Elite, a Nike sponsored program. Expressions is a great basketball program that is the definition of family. They've made me strive and work as hard as I can to put myself in great situations. I also focus on my school work. I currently have A's and B's. As of now, I am coming to an end of my spring break and these few weeks out of school, and in the gym has been really hard. Every time I come home, I work on my game with my coaches before going out with any of my friends. The first week I was let out on Thursday and had time to workout before the weekend. My team and I had Championship Weekend for Pennsylvania. This last session showed me that our team can be a contending team to be top in the country! It was definitely an enthusiastic showing and great experience for me and my squad. Even though we fell short, I learned a lot about myself. Second week, I worked out quite a bit with no days off for the weekend. Elite 75, a basketball showcase for middle school players on the east coast, was on that Sunday so I couldn't let up on the grind. This was a great way to display my talent in front of great prep high schools. I got in the gym and stayed solid for the weekend. I worked very well with a high motor and competed in all the games we had. After the showcase, I got lots of love from the coaches there which meant it was a great showing. This week, I had days off due to snow storms but I still got in the gym to play in pickup games. We also had our first Expressions Combine Training Camp. It was lots of fun playing with my 15u and 16u team for EYBL! I'm looking forward to playing on one of the biggest stages in the world in front of the best coaches. This will be the beginning of the show.